The Valkyries' Annual Viking Bash! May 20, 2018. Portland, OR. Join the Valkyries for our annual Viking bash! This year we are paddling in support of Camp Starlight, which provides a caring, safe, spiritual and FUN camp experience for children whose lives are affected by HIV/AIDS. 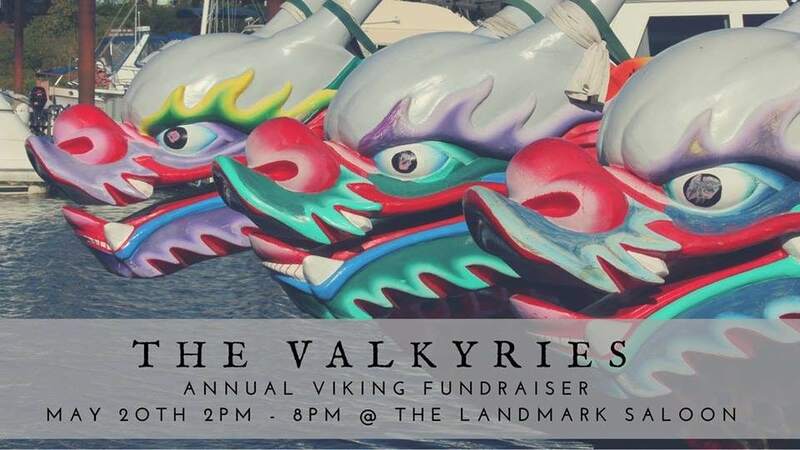 There will be a Silent Auction, a Corn Hole Tournament, a Photo Booth, a Viking Braid Booth, a Kids Craft Area, Valkyrie merchandise for sale, and Viking-themed drinks! Come unleash your inner Viking and support a good cause while doing in!